Do you have a Small Block Chevy Engine? Do you want to make a big statement underthe hood? Then the Holley Stealth Ram Fuel Injection Kit may be right for you! Thesekits feature a huge shared plenum mounted directly over the intake ports, with a large2-door throttle body unit right in front. And if that isn't enough, you can get theversion with the beautiful polished intake manifold rather than the standard castintake manifold. Either way, this is a rock-solid fuel injection kit for seriousperformance lovers. All kits 100% complete and include everything from fuel pump to throttle body andeverything in-between! 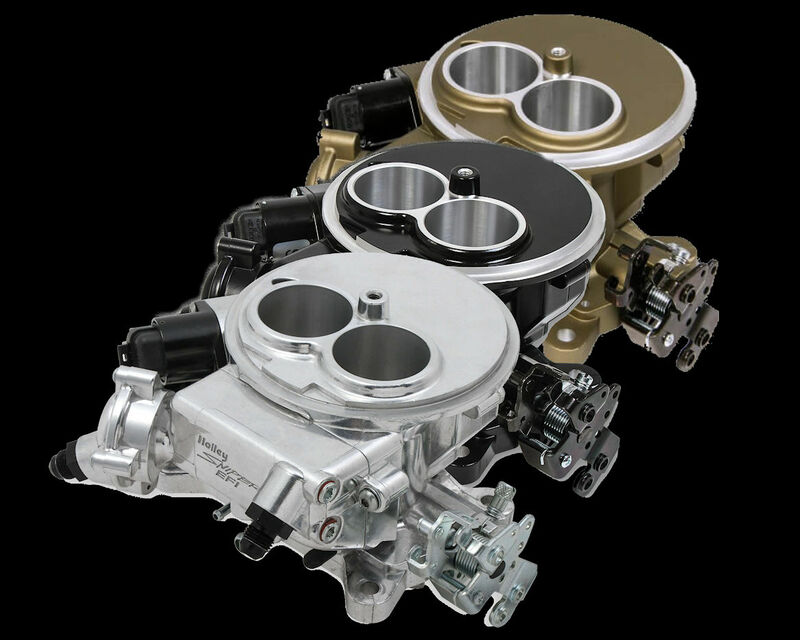 The Holley Stealth Ram Fuel Injection Kits are very similar to their Multi-Point Fuel Injection Kits, but instead of having a 4-door throttle body (which resembles a 4-bbl carburetor and is mounted in the normal carburetor-mounting position) the Stealth Ram kits replace that with a plenum and put a separate 2-door throttle body mounted facing directly forward. The benefits are multiple. 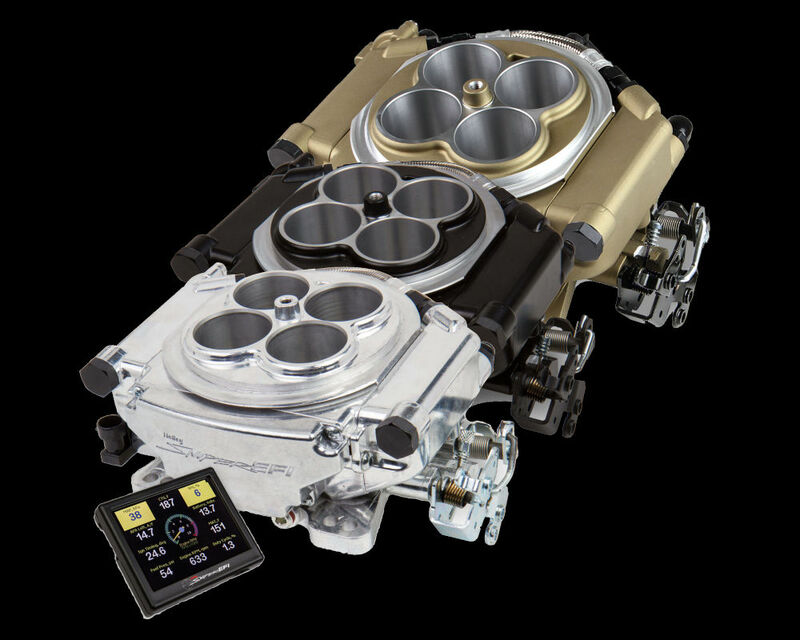 Plenums are especially attractive for their ability to create high-RPM power without sacrificing mid-range torque. Coupled with a hood scoop, now you're really pulling in some air! The Holley Avenger Stealth Ram Fuel Injection Kits are designed to "keep it simple" without compromising any of the benefits of multi-point fuel injection. The kit includes absolutely every component you will need other than an appropriate amount of fuel hose and fuel line for your particular application. The right fuel injectors and even the fuel pump is there! Install the intake manifold, fuel pump, and sensors, place the ECU and make the connections with the pre-assembled wiring harness. At that point you're almost done! Use the included handheld controller to answer a few questions about your particular setup and then start the engine. No laptop is required for the Avenger system, and the self-tuning feature means you don't have to ever fiddle around with fuel maps or tuning software! If you need more flexibility and full programmability in your fuel injection system, then go with the Holley HP Stealth Ram Fuel Injection Kits. These kits include the incredibly powerful Holley HP EFI ECU, and they allow you to choose your own fuel injectors and fuel pump. This allows you to dial in a performance solution the perfectly meets your engine's requirements. But don't worry, every Holley EFI ECU includes their incredible self-tuning feature, so you don't have to spend hours on a dyno tweaking fuel maps to get your Stealth Ram Fuel Injection Kit to run great. 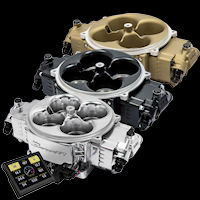 You’ll get some attention when you pop the hood and show an Avenger Stealth Ram™ Multi-Port E..